Both take full advantage of Intel’s 9th Gen K-Series to make them the premium, high-performance desktops for this Holiday season. 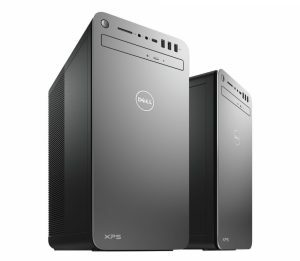 The XPS Tower Special Edition will be available in the U.S. and China on October 29, U.S. pricing starting at $1099 USD, and the Alienware Aurora will be available globally within the coming month, starting at $899 USD, direct from Alienware.com and in retail stores. Please note, regional availability and configurations will vary. 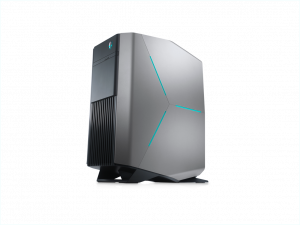 Also launching with the Alienware Aurora is the latest advancement in software personalization and command/control from Alienware – the New Alienware Command Center. First launched on the new Alienware Area-51 in January, Alienware’s Command Center give a customer complete control over their system lighting – including managing Alienware’s keyboards, mice and headphone, access to the Alienware Aurora’s advanced overclocking tools (in addition to more cores, Intel has added a new Solder Thermal Interface Material (STIM) that gives incredible overclockability) that provides a simple interface for a quick fix – or get deep into the clocks and voltages, and perhaps the most powerful feature for customers is the Game Library. 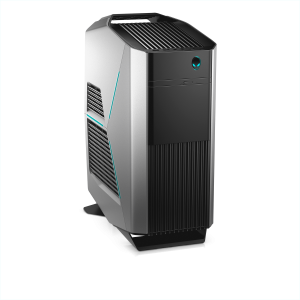 This feature allows customers to customize their system lighting, performance, acoustics on a game by game basis to give complete control over their gaming world.